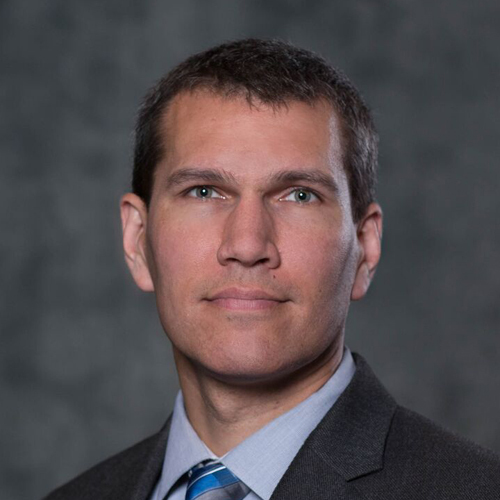 Dr. Kevin Rose received his Ph.D. in Ecology, Evolution, and Environmental Biology from Miami University studying the causes and consequences of variation in ultraviolet radiation in aquatic ecosystems. Following his Ph.D., Dr. Rose went on to a postdoctoral fellowship at the Smithsonian Environmental Research Center, an AAAS Science and Technology Policy Fellowship at the U.S. National Science Foundation, and a postdoctoral appointment at the University of Wisconsin-Madison. Dr. Rose joined at the Department of Biological Sciences at Rensselaer Polytechnic Institute in 2015 as the Frederic R. Kolleck ’52 Career Development Chair in Freshwater Ecology. Dr. Rose’s research spans aquatic ecology and biogeochemistry to understand how natural and anthropogenic processes affect the structure and function of freshwater ecosystems. A goal of his lab group is to forecast the future state of lake ecosystems in a regional to global context, with an emphasis on understanding how freshwater ecosystems are changing in response to local to global changes in land use and climate. This interdisciplinary research draws on skills in biology, ecology, biogeochemistry, advanced environmental sensors, and computational modeling. Rose, K.C., P.J. Neale, M. Tzortziou, C.L. Gallegos, and T.E. Jordan. 2018. A spectral model for assessing spatial variability and long-term trends in UV and PAR light attenuation in an optically complex sub-estuary. Limnology and Oceanography. Rose, K.C., R.A. Graves, W.D. Hansen, B.J. Harvey, J. Qiu, S.A. Wood, C. Ziter, and M.G. Turner. 2017. Historical foundations and future directions in macrosystems ecology. Ecology Letters 20(2): 147-157. DOI: 10.1111/ele.12717. Rose, K.C., K.C. Weathers, A.L. Hetherington, and D.P. Hamilton. 2016. Insights from the Global Lake Ecological Observatory Network (GLEON). Inland Waters 6(4): 476-482. DOI: 10.5268/IW-6.4.1051. Jane, S., and K.C. Rose. 2018. Carbon quality regulates the temperature dependence of aquatic ecosystem respiration. Freshwater Biology. ; 1-13. DOI: 10.1111/fwb.13168. Winslow, L.A., T.H. Leach, and K.C. Rose. 2018. Global lake response to the recent warming hiatus. Environmental Research Letters 13(5): 1-8. Bais, A.F., R.M. Lucas, J.F. Bornman, C. E. Williamson, B. Sulzberger, A.T. Austin, S.R. Wilson, A.L. Andrady, G. Bernhard, R.L. McKenzie, P.J. Aucamp, S. Madronich, R.E. Neale, S. Yazar, A.R. Young, F.R. de Gruijl, M. Norval, Y. Takizawa, P. W. Barnes, T.M. Robson, S.A. Robinson, C. L. Ballaré, S.D. Flint, P.J. Neale, S. Hy-lander, K.C. Rose, S-Å Wängberg, D.-P. Häder, R.C. Worrest, R G. Zepp, N.D. Paul, R.M. Cory, K.R. Solomon, J. Longstreth, K.K. Pandey, H.H. Redhwi, A.Torikai and A.M. Heikkilä. 2018. Environmental effects of ozone depletion, UV radiation and interac-tions with climate change: UNEP Environmental Effects Assessment Panel, Update 2017, Photochemical and. Photobiological Sciences DOI: 10.1039/c7pp90043k. This paper was a product of the United Nations Environmental Programme (UNEP) Environmental Effects Assessment Panel (EEAP).